"To give the utmost, detailed care to those in need and assisting patients to understand their disease process so that the best prevention measures can be achieved." Lisa has been a nurse with the nephrology department for more than 10 years working with patients that have chronic kidney disease as well as hypertension. 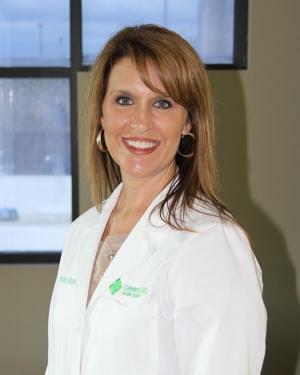 She is now a Nurse Practitioner specializing in the field of nephrology and provides care to patients in the clinic outpatient setting, as well as multiple local dialysis facilities, and local area hospitals.